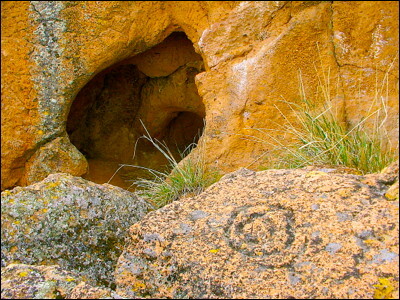 The Woman's Cave is a Modoc ceremonial cave near Tule Lake in northeast California. There are ancient rock carvings inside and around the entrance to the cave. These photos were taken in May, 2006.